Maker’s Asylum began when the ceiling of EyeNetra’s office in Mumbai fell down and broke all the furniture. 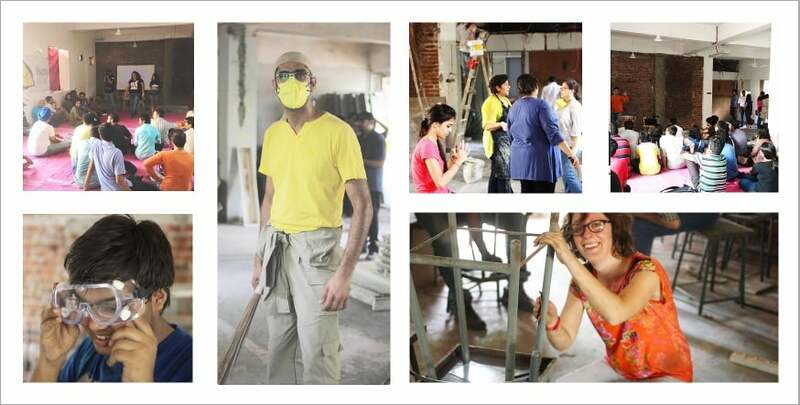 Vaibhav, a carpenter by passion, hit social media looking for like-minded people in the city to join him in rebuilding the tables for his office. On November 7, 2013, eight DIY enthusiasts turned up at EyeNetra’s office and they made 3 tables on the first day. They decided to meet every Sunday and continue to build other fun things as well. The nascent community started to volunteer their tools and soon they ran out of space in the back room. They called that room — the Asylum. Vaibhav met Anool at MakerFest in January 2014. Their love for making clicked instantly. Since the backroom was running out of space, Kirti, a former co-founder of the Asylum, offered her garage in Bandra to continue our activities. The garage was Maker’s Asylum’s first official address, openseven days a week. The mission: to break and make. 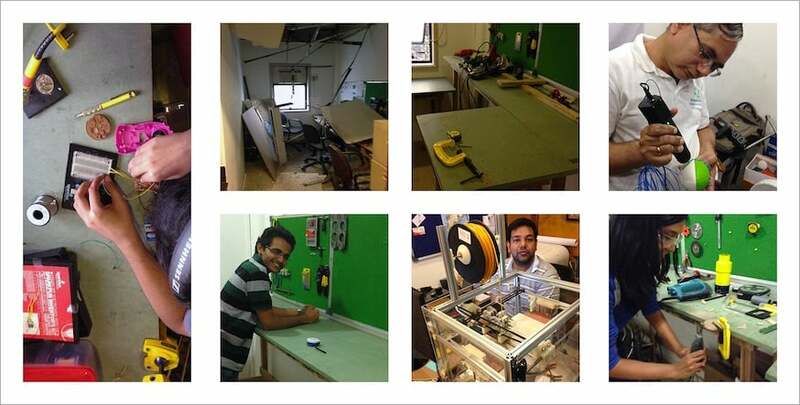 It was the first open makerspace in India. The community kept growing in Bandra but was limited by space: 250 square feet. was proving to be too small. Vaibhav tried every possible option in his search for an affordable space in a space-crunched city. Finally, he met Soumitra and Siddharth at ISDI. They offered their support and space. The Asylum found a new location in Lower Parel’s corporate district. 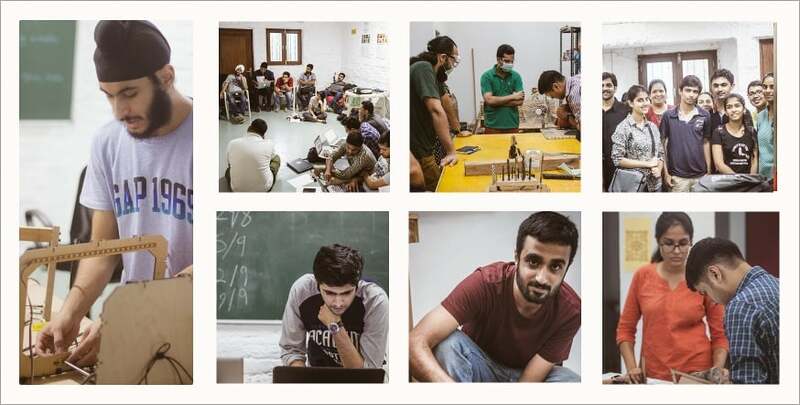 Vaibhav is a Delhi boy who started building tables in his basement before he even knew what the definition of the maker movement was. A few of the problems he encountered while build the table was that he had to spend more on tools than materials and found himself with no one to turn to when faced with a glitch. Maker’s Asylum, Delhi, was born to ensure this doesn’t happen to anyone else. 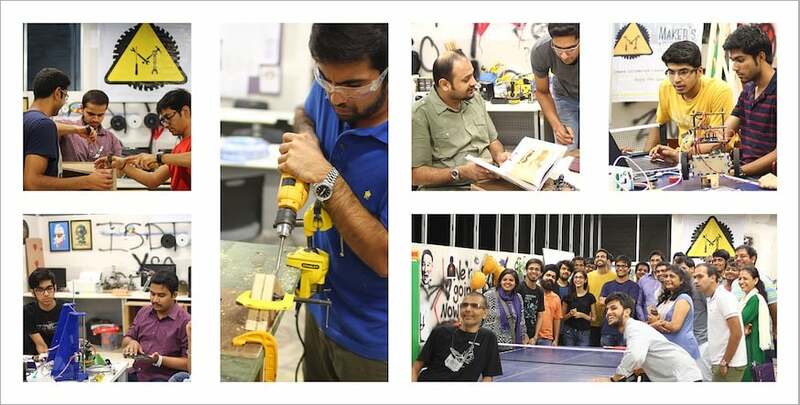 The enthusiastic community in the capital is a 2000-sq ft haven for makers. The Asylum has a spanking new home and it’s bigger than ever! Our biggest source of strength has always been the community’s support. We turned once again to a crowdfunding campaign via Indiegogo to raise funds to rent a new space. 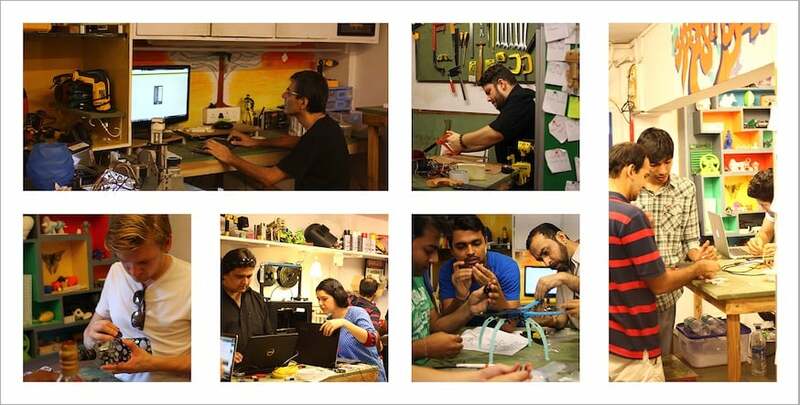 Thanks to supporters around the world, we managed to raise enough to invest in your new and improved makerspace — 6,000 square feet of space in Andheri’s industrial district, inclusive of an open-air terrace.